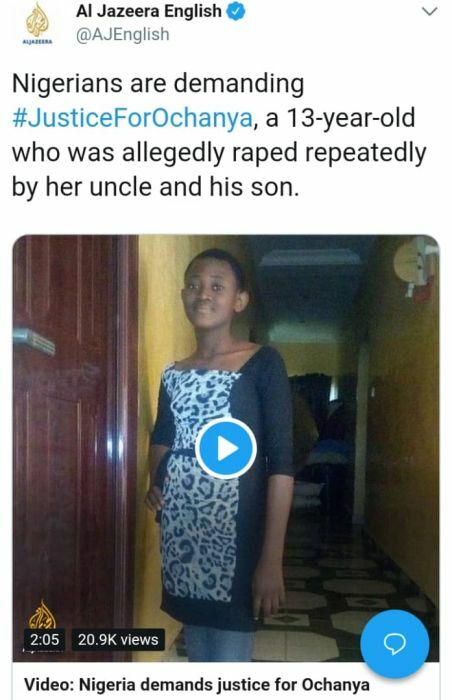 Al Jazeera features the pathetic story of Ochanya, as Nigerians are demanding #JusticeForOchanya, a 13-year-old who was raped repeatedly by her uncle and his son. Ochanya Ogbanje was 5 when she was sent to love with her aunt and continue her education. But instead, she suffered an untimely death at the age of 13. Ochanya was allegedly molested, drugged and Raped year after year. Her family could do nothing but grieve. It all started when she was 8. Allegedly subjected to repeated sexual Assault by her uncle and son. When her body couldn’t take it anymore, Ochanya was taken to a hospital where she died few days later from vesicoveginal fistula (VVF) and other health complications on October 17th 2018. The accused uncle, 52-year-old Andrew Ogbuja who is a lecturer has been arrested but his son still eludes police. Ochanya’s demise sparked outrage across Nigeria with many protests calling for #JusticeForOchanya. Ochanya’s family members now fear for their lives and they suspect the accused has influenced the court. 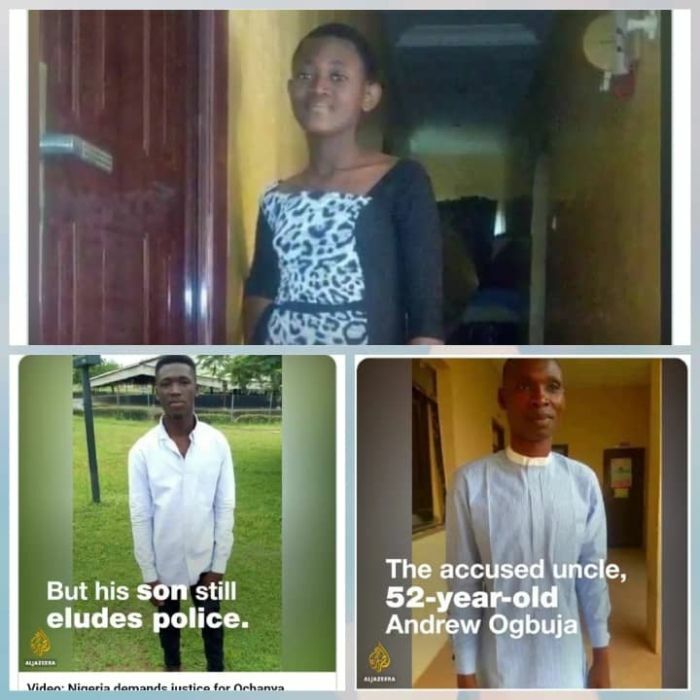 Watch as Ochanya’s father, Michael Ogbanje speaks about the death of his daughter and threat to their lives.